Adam Sibley has written an acclaimed book about his experiences of caring for a mother with early onset dementia. In this article he offers advice from someone who has been there to help those who are there now. I cared for my mum for nearly four years after she was diagnosed with early onset dementia at the age of 51 and passed away at the age of 54. I was 25 when I started caring for my mum. I am passionate about helping other people who find themselves in a position of having to make decisions about loved ones that they never thought they would have to make. Ignoring the obvious or sweeping things under the carpet isn’t helping anyone. Coming to the realisation that a loved one needs a different type of care than you can offer is very hard but looking back on my own personal situation I wish we had confronted the issues earlier. An early diagnosis may break your heart but it is the only way you can do what is best for your loved one. Just because you don’t want something to be true, sadly it doesn’t always mean that it isn’t. No one will love the person in your family that needs care more than you. Finding them care doesn’t mean you love them less, it means you love them more. Professionals are professionals for a reason and you won’t be able to match their knowledge in subject areas regarding your loved one’s condition or care. The best thing you can do is to combine your love with their expertise because then you can create the best situation for your loved one. It can sometimes feel like the world doesn’t care for you and your situation but if you are willing to look and ask there are lots of people out there who can help you. There is financial support you can apply for, there are carers groups and there are brilliant care facilities. So here is how the timeline worked for us to get the right care for my mum. 1. Visited to the local GP who got my mum referred to a specialist. 2. Attended various appointments with a specialist which eventually led to an official diagnosis. 3. Mum was placed under the local mental health team in our area and we received regular helpful advice. 4. Funding put in place and regular carers appointed to come to our home to look after mum to take the burden off us. 5. Given information on carers groups, funding and support. This all happened in less than two years from start to finish. Sadly my mum had some health complications and passed away in hospital before we could make the next step. That was to move her in to a care home, as we had already been to see what options were available to us for that in the area. There is a lot of information out there and sometimes it can all be a bit overwhelming. This is why it is important to speak to the right people and go down the right channels, as this will help you navigate the whole process a lot better. Looking back at my experiences of caring for my mum, the two most important things I learnt were love and balance. Without these two things I would not have been able to make the best decisions for the care of my mum or coped with the situations I found myself in. The right decisions aren’t always the easy ones. If you make every decision in love for the one you are caring for then you can’t go far wrong. Loving someone sometimes is about having the strength to do the right things by them and not by you. Love is about being selfless and that is what I always tried to be when it came to my mum. Caring for someone can seem like a balancing act at times but make sure you take some time for you. 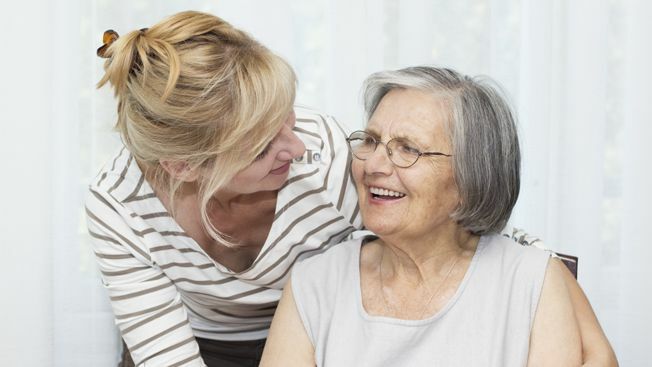 Caring for someone can take over your life at times but it is important you look after yourself, so that you can be the best support you can be. To help you balance your life, stop doing the things that aren’t important any more and focus on you and your loved one, as they are the two most important people. Many of the people you are caring for may never be able to tell you just how thankful they are for your love, your support and for making the best decisions for them, so I want to end by thanking you on their behalf. Caring for someone is one of the toughest things anyone can do and I take my hat off to anyone who has to do it in their lifetime. Adam Sibley’s book on caring for his mother with dementia was turned down by a publisher on the grounds that a similar book had floundered as the media considered the subject too dismal to cover. So Adam crowdfunded publication himself. The book has since become an Amazon Bestseller and has featured in the Independent and Telegraph newspapers. Find out more about Adam’s book “Unbreakable Bond” and buy a copy at http://www.unbreakablebond.co.uk/. This article was published in April 2016. How do I get back the happy memories taken by dementia? If you haven’t yet signed up for our newsletter, why not do it now? You’ll get news and views about eldercare as well as signposts to our latest articles.